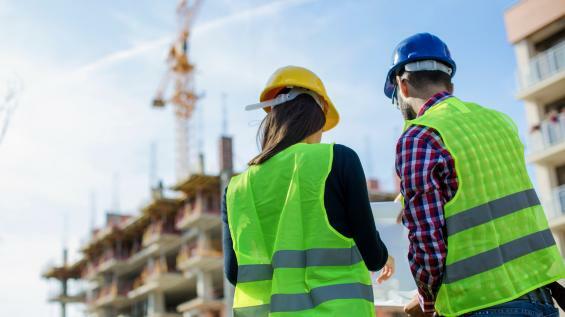 The continued development and regeneration of towns and cities in the UK is expected to lead to a continuous demand for suitably qualified professionals across all construction disciplines. HNCs are substantially coursework/ project based and are designed to equip you with the knowledge, understanding and skills required for the construction sector. This course offers a broad base of traditional construction subjects with specialist options allowing you to adapt the course to your particular career ambitions. If you are working within the construction field or have ambitions of working in this area in a professional, managerial, or technical capacity, then this course is for you. Edexcel Level 4 HNCs provide a nationally recognised qualification (120 credits) offering career progression and professional development for those already in employment and opportunities to progress on to an honours degree programme. The qualification is delivered at Peterborough Regional College and is equivalent to one year of undergraduate study. Working professionals have the flexibility to study the course part-time for one day a week. There is diverse approach to assessment which is relevant to the local economy, thereby accommodating and enhancing different learning styles. The qualification is designed to meet the needs and expectations of students aspiring to work in an international business environment. After successful completion of the HNC Construction, you have the opportunity to complete the BSc (Hons) Construction Management Top-up to obtain a full honours degree. Students who do not qualify by any of these qualifications should call 01733 214466 or email admissions@ucp.ac.uk to discuss equivalent qualifications such as Bridge to HE in Construction or relevant work experience. An interview might be required in these circumstances. After successful completion of the HNC Construction (Level 4), you have the opportunity to complete Level 5 and 6 of the BSc (Hons) Construction to obtain a full honours degree. I am the Course Leader for the BSc Construction Management degree at University Centre Peterborough and HNC/HND Civil Engineering/Construction qualifications at Peterborough Regional College. I have been teaching at University Centre Peterborough since Sept 2016 on a number of units including Design Principles and Application for Construction and the Built Environment and Health, Safety and Welfare for Construction and the Built Environment to name a few. My previous occupation includes 15 years as Health and Safety Officer and FE Lecturer at Peterborough Regional College. During that time I have also taught on a range of statutory and regulatory body courses including: Chartered Institute of Builders (CIOB), National Examination Board in Occupational Safety and Health in the Uk (NEBOSH) and the Institution of Occupational Safety and Health (IOSH). Prior to this I held a dual role as the Estate Manager and Health & Safety Officer at Askham Bryan College. Responsible for the daily running of the site including three farms and 750 acres of arable land. In that role I was responsible for all the planned and preventative maintenance for all buildings, machinery and agriculture equipment and the vehicle fleet. I worked closely with local architects, contractors, and consultants and on several new builds over £500k gaining first-hand experience of the CDM Regulations. Another development in the role enabled me to set up an estate committee with several other colleges in North and East Yorkshire to source for bulk fuel at a cheaper price. Since completing my degree I am interested in a number of research areas that is having a detrimental effect on the construction industry in particular the mental health of the workforce, why asbestos still remains the single greatest cause of work-related deaths in the UK and new technology and innovations such as smart technology for building.